Tall thin city block with dynamic roof expressed as curve over a Z-step – this device allows a step in parapet heights between neighbours, and creates a dynamic elevation for this boutique hotel. One of the early buildings by Elder & Cannon that made their name. 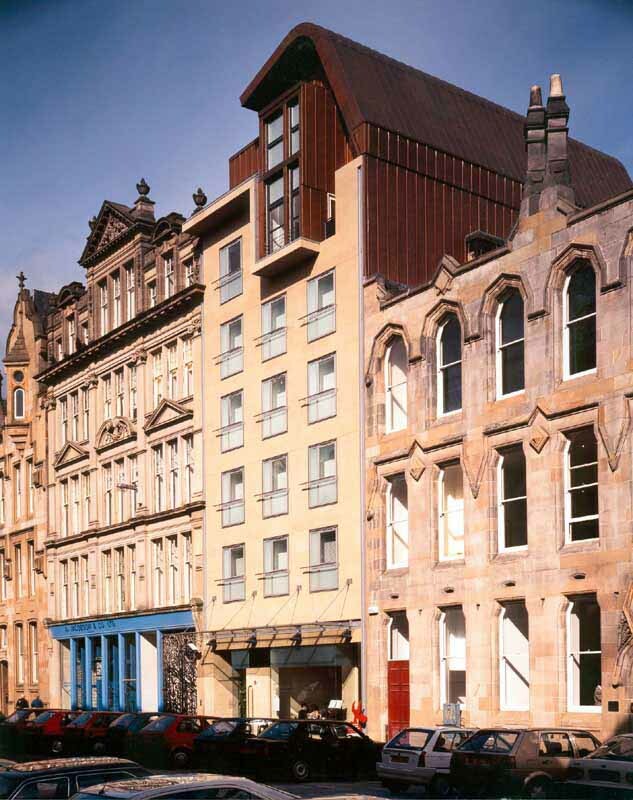 Other projects by this Glaswegian architecture practice include the Icon Building down on the River Clyde, work at Homes for the Future off Glasgow Green and buildings at St Aloysius College north west of the city centre next to the School of Art building.